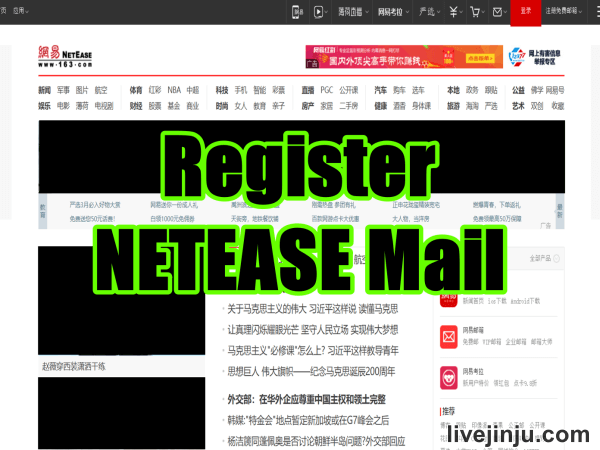 NETEASE Mail ( 163.com )is a free E-mail service in Mainland China , 163.com provide unlimited mail storage space for its users , if you are interested in NetEase Mail , could refer this tutorial to get a free NetEase E-mail, let’s see how to Register NetEase Mail outside China ! 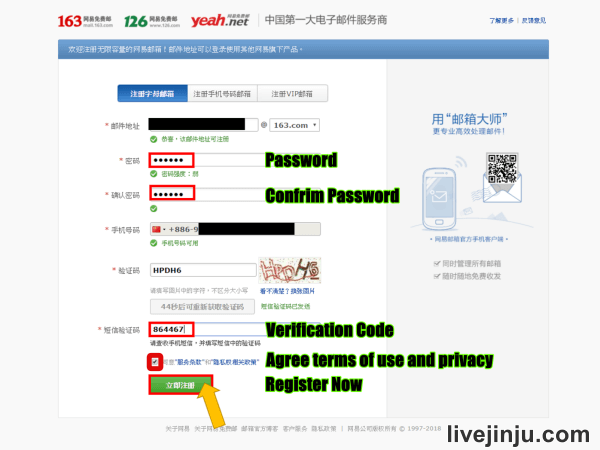 To get a 163 mail or NETEASE account , we could follow this tutorial to sign up easily. 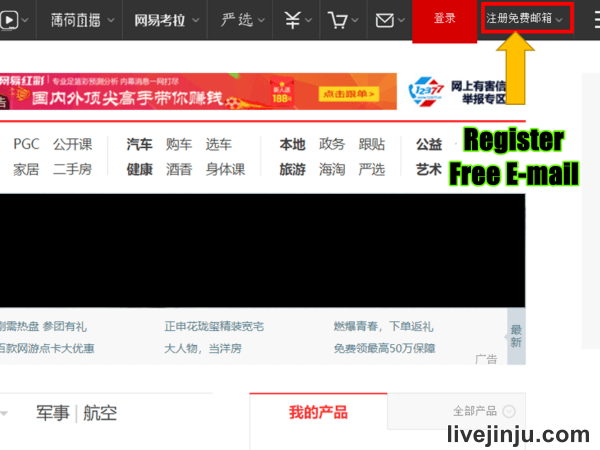 First , we click link below to go into 163.com , then press the button named 注册免费邮箱 (Register Free E-mail). 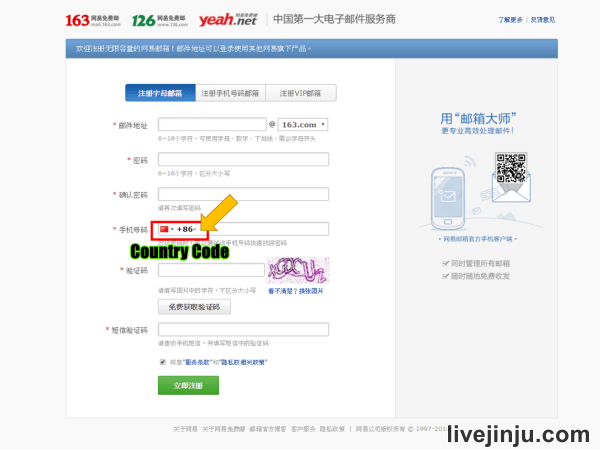 ▼ Entered registration page , we select Country code first. If you can’t find your Country code , PC users could look up your Country code by hot key ( Windows : Ctrl + F , Mac : Command + F ) , Mobile phone users could also use ” find in page ” feature in browser. ▼ For example , I looked up 886 to get my Country Code +886 fast. 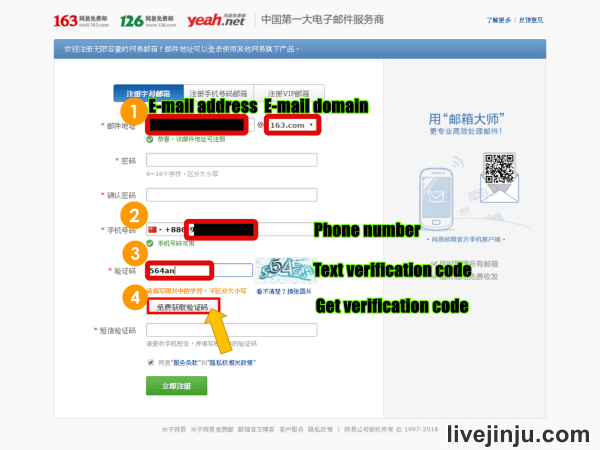 ▼ After getting your Country Code, (1) we type in our E-mail address and choose E-mail domain( 163.com, 126.com , yeah.net ) , then (2) input your phone number and (3) type in Text verification Code , and (4) click the button name 免费获取验证码 (Get Free Verification Code). ▼ With these steps , we sign up our 163 mailbox successfully! 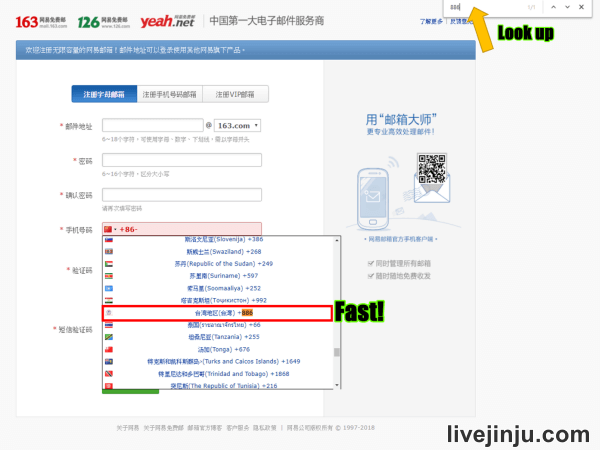 From now on , you could log in your 163 mailbox , and start to use your free E-mail service , hope all of you get a 163 mail fast and easily by this tutorial , if it works for you , please share this post for us , thanks!